A dark beer with a rich, strong and delicate malt flavor. 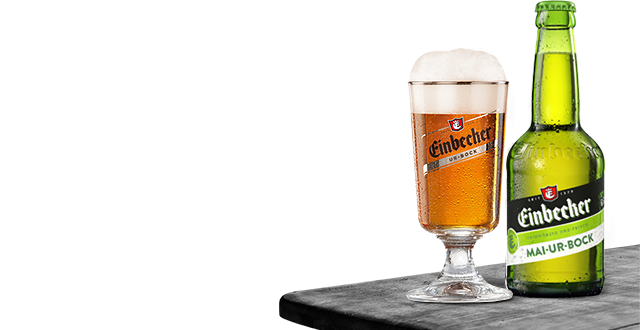 At the first sip it is smooth and full-bodied, at the second sip the true rich, strong roasted malt aroma of Einbecker Ur-Bock unfolds. The dark barley-malt brewed refreshment from the Einbecker original recipe. 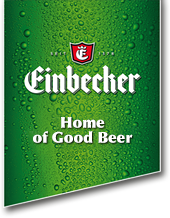 Einbecker Ur-Bock lager is the “Beer of all Beers”, characterized by a subtle hint of hops in accordance with the original recipe. Full-bodied, spicy aromatic flavor! When Duke Erich handed Martin Luther a mug of Einbecker Beer at the Worms Reichstag in the year 1521 Martin Luther called out “the best drink known to man is called Ainpöckisch Beer.” His love to Katharina von Bora and to Ainpöckisch Beer was also shown at his wedding in Wittenberg when the council of the town of Wittenberg presented him a barrel of Einbecker as a gift. Already after his disputation in Leipzig in the year 1519 the council of the town of Wittenberg did welcome him by a jar of Einbecker Beer. “Ready for May?” In spring, the Einbecker brew-masters brew a particular special beer, the Einbecker Mai-Ur-Bock. This pleasantly-bitter refreshment is only available in the spring – as long as supplies last.